Go grab yourself a copy of D-Fend Reloaded (D-Fend stands for DOSBox front-end). It actually includes a copy of DOSbox, which you can use or you can tell D-Fend to use an installation of DOSBox that you’ve already got. 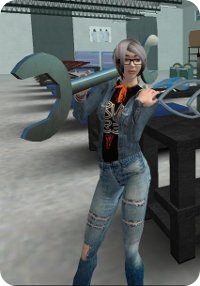 D-Fend is a launcher. You add your DOS games to it, and when you launch the game, it will kick DOSbox off with all the appropriate settings. You can change settings on a per-game basis, and D-Fend recognizes some ‘special needs’ titles, and is able to set up a basic configuration for them. 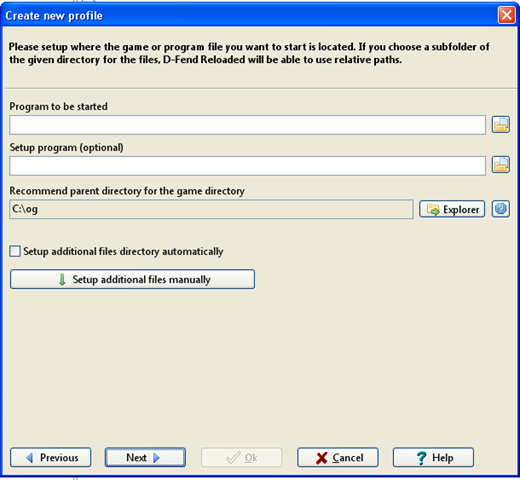 For most titles, you’ll just copy, unpack or install the game to a folder of your choosing, select Add With Wizard from D-Fend (alternatively: F3), click through the first wizard dialog to the second. Here’s where you browse to the .EXE, .COM or .BAT file that starts the game. 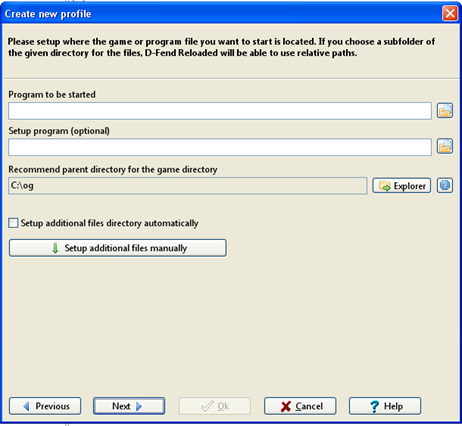 The optional setup program is a configuration tool like SETSOUND or CONFIG.EXE. It’s not vital to set one up here now, or indeed at all. It’s just nice if you need to go back and tweak the game’s own config tool (if any). At the very least, plug in the location of the program to start the game in the first part, and click through. The third dialog allows you to pick a template. The first section lists templates that coincidentally happen to match the program name you chose. If you don’t see your title there, look in the next section, called Use user-defined auto setup template. If your title is in the list, select the appropriate template. If not, look through the next two groups for something that adequately describes the game, you may need to try one or two options, but the system is surprisingly tolerant. If in doubt select a template that seems to exceed what you think the requirements are. If you’ve still got the original box and manuals they’ll almost always list what you require. Odds are you can just hit OK on this dialog and go and run the game. D-Fend lets you jam DOS games in folders all over the place, and have them just work from one convenient launcher. You can edit the DOSbox configuration for each game from within D-Fend in a convenient GUI – and there is one change that you’re likely to want to make. The default for the DOSBox graphics render setting is surface. If fade-ins and fade-outs stutter like slide-shows (and for a lot of games, it will do just that), edit D-Fend’s profile for the game (right click on the game and select Edit). Go down to Hardware > Graphics and change the Render setting from surface to overlay. Your system may vary, but that seems to produce the speediest results for a number of otherwise stuttery graphics operations. If your game chooses to be particularly recalcitrant, D-Fend’s game profile editor makes it extremely easy to try some tweaking and tuning. Between DOSBox and D-Fend, you can keep quite a sizeable stable of ready-to-run, or indeed ready-to-run-in-a-window DOS games on standby. DOS games have the advantage of being lightweight, undemanding on your system (so great for travelling with a laptop or a netbook) and when running off a modern hard-drive (or USB stick), fast to start up, load and save. Many DOS games are only a few hundred kilobytes, which means you can pack many of them in the space that would be taken up by a few photos. That’s a whole lot of gaming you can pack away.